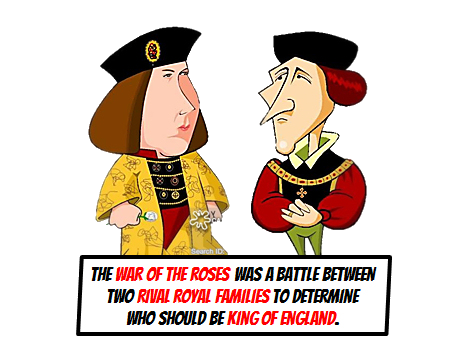 The war of the roses was a battle between two rival royal families to determine who should be king of England. 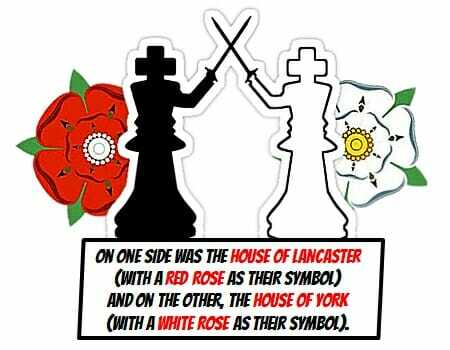 On one side was the House of Lancaster (with a red rose as their symbol) and on the other, the House of York (with a white rose as their symbol). 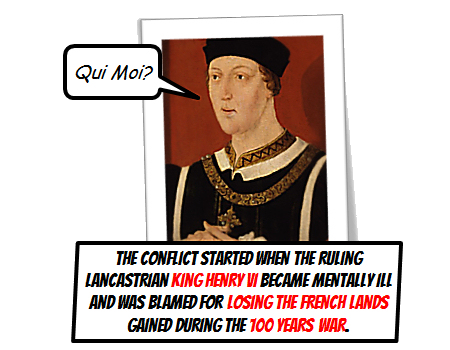 The conflict started when the ruling Lancastrian King Henry VI became mentally ill and was blamed for losing the French lands during the 100 years war. 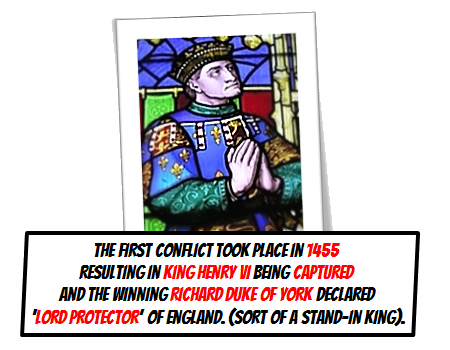 The first conflict took place in 1455 resulting in King Henry VI being captured and the winning Richard Duke of York declared ‘Lord Protector’ of England (sort of a stand-in king). 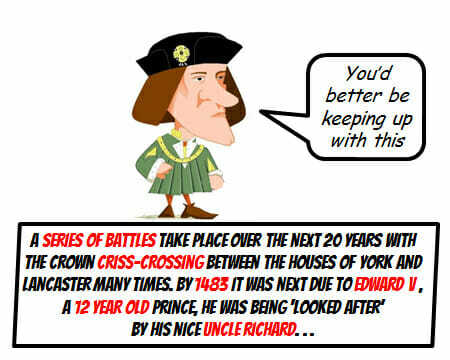 The nursery rhyme ‘Grand old Duke of York’ is supposed to be about him! By 1460 the crown is back in Lancastrian hands when The Duke of York is killed in another battle. 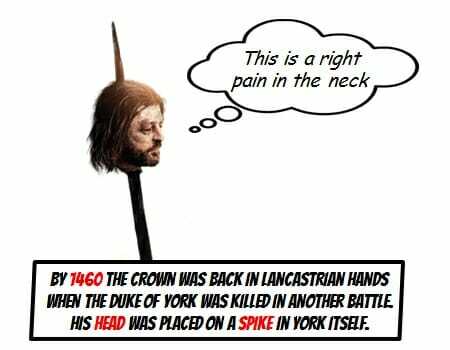 His head is placed on a spike in York itself. A series of battles take place over the next 20 years with the crown criss-crossing between the houses of York and Lancaster many times. By 1483 it is next due to Edward V a 12 year old prince, he was being looked after by his uncle Richard. 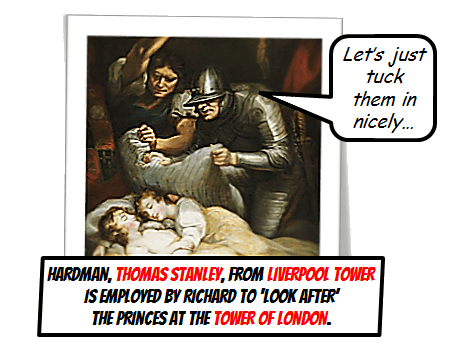 The Liverpool connection when Thomas Stanley, from Liverpool Tower, is given a job by Richard to guard the prince (and his brother) at the Tower of London. 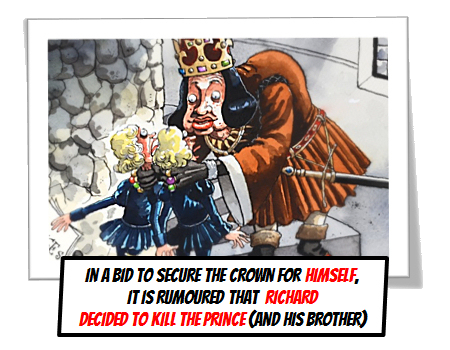 In a bid to secure the crown for himself, it is rumoured that Richard (presumably with Stanley’s help) killed the two young princes. They disappeared in the Tower of London in 1483. 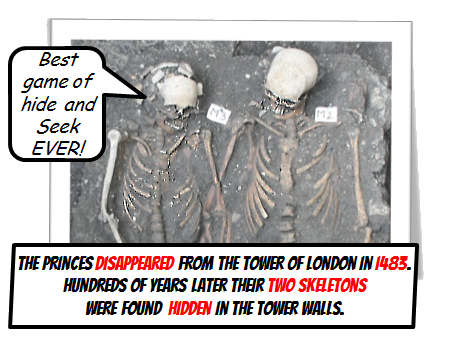 Hundreds of years later their two skeletons were found hidden in the tower walls. 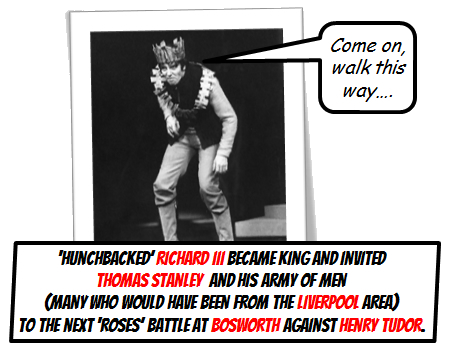 Richard III becomes king invites Thomas Stanley and his army of men (many who would have been from the Liverpool area) to the next roses battle at Bosworth against Henry Tudor. 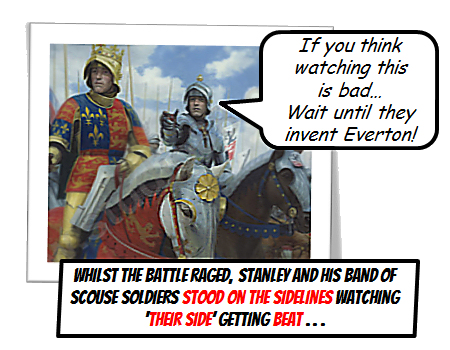 Whilst the battle raged, Stanley and his band of scouse soldiers stood on the sidelines watching ‘their side’ getting beat. 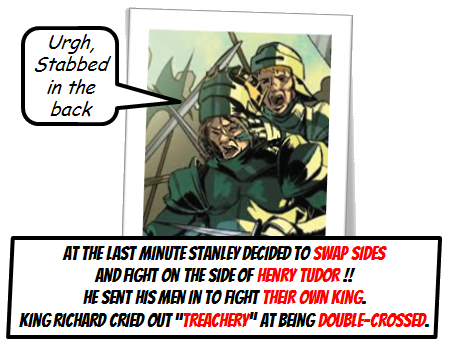 At the last minute Stanley decides to fight on the side on Henry Tudor and sends his men in to fight their own king. Richard cried out “Trechery” at being double-crossed. 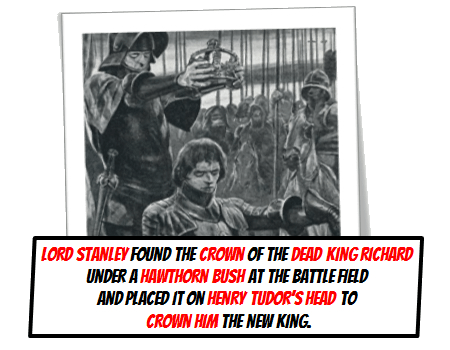 Lord Stanley and is merry band of scouse men find the crown of the dead king Richard under a hawthorn bush at the battle field and place it on Henry Tudor’s head to crown him the new king. The new king Henry VII gave Stanley the title of Earl of Derby after the Battle of Bosworth. This refers to the ‘Hundred of West Derby’ and in later years the Stanley family settle at what is now Knowsley Hall.